The juvenile, just a few months old and about 8cm long, was spotted by Harriot (8) and Nicholas Lane (10) and their cousin Harrison Vernon (11) while they were walking around the island with their grandparents Bob and Suzanne Vernon. Tuatara were transferred to Matiu/Somes in 1998 and since then adult tuatara are regularly seen on the island. It has long been suspected that they are breeding, and this was finally proven when eggs were found on the island in 2007 and hatched at Victoria University. 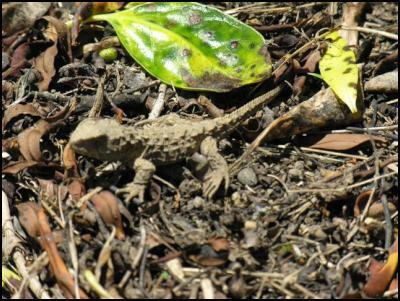 But this is the first confirmation that young tuatara have hatched on the island itself. Conservation staff on the DOC Poneke area-managed Matiu/Somes Island in Wellington Harbour are preparing for an exciting arrival on Friday’s 10 am ferry sailing. 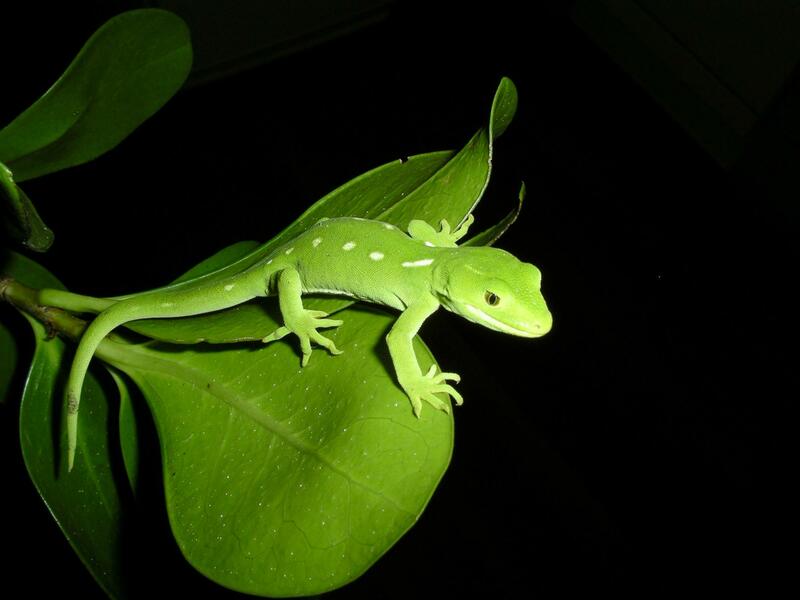 15 rare Wellington green geckos, seven of which have spent the last twelve months on ‘sabbatical’ at the city’s Karori Sanctuary, are being released on the island on Friday 15 November as part of an annual translocation programme – the largest to date. DOC first began translocating green geckos to the island sanctuary in 2006 to create a self-sustaining population on this predator-free island. They have been working with local lizard breeders to ensure a genetically diverse supply of geckos for release on a yearly basis. This year, 16 lucky local school children with a special interest in conservation have been chosen to take part in the release. ‘Establishing a safe population on Matiu/Somes will help ensure survival’, said DOC biodiversity ranger Brent Tandy. Local lizard enthusiasts and conservation projects like Karori Sanctuary play a critical support role for DOC’s gecko recovery programme in terms of both advocacy and breeding. One year old animals are taken to the Sanctuary for display in a special gecko enclosure before being released on the island at two years old. In a few days it will be spring and the birds will be in full song. But in some parts of the country it will be an extremely muted song. In fact there are now areas known as ‘bird deserts’ where there are virtually no native birds. We know these regions exist because birdwatchers have just spent five years in the field finding out how many birds there are, and where they live – information for the latest edition of the New Zealand Bird Atlas. Richard Langston with a story on the plight of our birds.